Fastway Evo 4 Footpegs for KTM/HQV combines all of the styling and features from the Evo Air with the unbeatable strength of the Evo 3 to come up with the Evolution 4! These are the industry standard for serious Motocross, Off-road and Adventure riders. 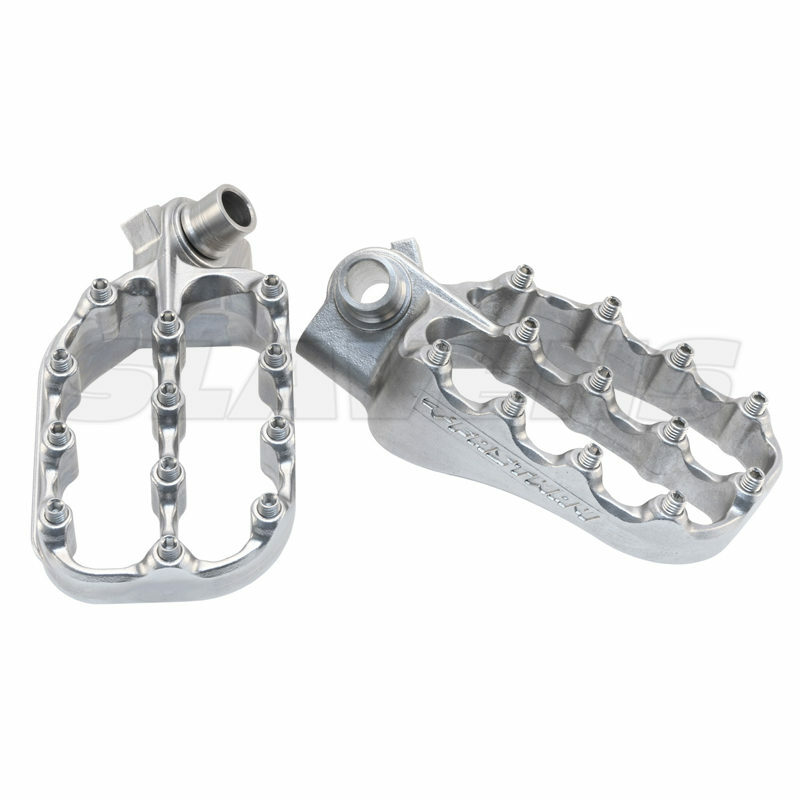 They’re the strongest, most durable and most affordable adjustable foot peg on the market. Whether you’re taking an easy trail ride or taking on the Sahara, these pegs wont let you down. The Evolution 4s feature all our technology, wrapped in a stainless steel body. If you can manage to hurt one of these pegs, your bike is likely looking for a spot in the scrap heap. 3.50″ long by 2.25 wide.